Here is another site to wander about -weddingstyleguide.com.au. 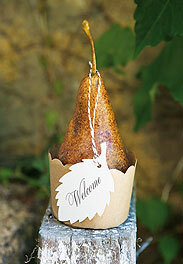 I love this gorgeous poached pear idea, which I stumbled upon quickly. It's a keeper!